The home automation startup deepens its energy analytics chops with long-time partner and investor British Gas. AlertMe, the U.K. startup that got its start in wireless gadgets to automate home security and energy savings, is now bringing its software expertise to the fore with a new program with big customer and strategic partner British Gas. Looks like we’ve got another company that wants to marry big data analytics with the flood of energy information coming from the smart grid. The rollout announced Tuesday will see AlertMe distribute its “Personalized Energy Efficiency Advice Service” to smart meter-enabled customers of the giant U.K. utility. 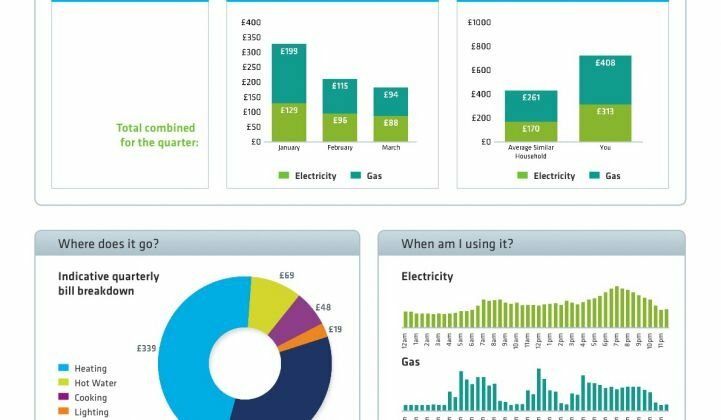 The service, which crunches masses of smart meter data and delivers customers energy usage and pricing info, along with tips for energy saving, has started with a 10,000-customer pilot, but is set to be expanded to more smart-metered British Gas customers in the fall. AlertMe isn’t ditching its ZigBee-connected home security and automation gadgets, David Bercovich, AlertMe’s vice president of North America, said in an interview. Rather, the new project “shows the value of the platform we built, and specifically that we are about insights and analytics, as well as controls,” he said. In short, AlertMe is seeking to provide a service similar to that being delivered to utility customers by U.S.-based startups like Opower, Efficiency 2.0, Tendril and others. To be sure, 10,000 homes isn’t a lot compared to the tens of millions of Opower customers getting energy reports today. But British Gas is already deploying millions of meters to its customers, which opens up a large set of customers to AlertMe's service. Eventually, it could expect to reach all 16 million of British Gas' customer accounts by 2020, when government mandates call for the entire nation to be smart metered. The concept relies less on giving each homeowner a view of their real-time data via expensive sensors and monitors, and more on pulling data from utility back-office systems and presenting it to customers via channels they already have -- say, a smart phone or a desktop PC. Smart meters aren’t critical to this kind of data analytics and customer presentment model, though they help by providing more detailed data in shorter time increments. What is critical, however, is that the homes involved are linked via some sort of platform that can manage the interplay of back-office data and in-home presentment in a smooth and seamless manner. That can be done from the home via a piece of hardware, or it can be done remotely, over the cloud. British Gas already uses AlertMe’s cloud platform and home gadgets in various home automation pilot projects. The startup has been working with the 16-million-customer utility since 2009, and landed a strategic investment from it in 2010. Bercovich said that AlertMe’s platform is “deeply embedded” with British Gas, much in the way that rival U.K. home energy startup Onzo has given strategic investor Scottish and Southern Energy the rights to distribute its products in the U.K. and Ireland. AlertMe announced in January that it was supplying its cloud platform to Lowe’s for the big-box retailer’s upcoming home automation offering, giving it a chance to prove whether it can grab customers’ attention in the home improvement retail market as well. AlertMe isn’t just looking at big-box retailers and utilities for partners. It’s also seeking telecommunications companies interested in selling home automation as an add-on to home phone, cable or internet services. So far, it has announced a partnership with Deutsche Telekom, but it has a lot of competitors in this space, such as EcoFactor and its project with Comcast, iControl’s project with Time Warner Cable, or Verizon’s home automation offering with Motorola and its home automation acquisition 4Home. AlertMe is also working on technology that can disaggregate individual household loads like heating, lighting and appliances without actually attaching sensors to the circuits that serve them, Bercovich said. We’ve seen a few similar technologies emerge with similar promises, including fellow U.K. startup Navetas, which just landed smart meter giant Sensus as an investor and strategic partner. AlertMe raised £5 million ($10.35 million) in 2007, £8 million ($12.8 million) in 2009 and £15 million (about $24 million) in 2010, bringing the company’s total investment to roughly $49 million to date. That puts it behind Opower, which has raised about $64 million, and Tendril, which has raised about $100 million. One big question for all these startups and their partners is, how good are they at actually engaging homeowners to take action to save energy? We’ve seen numbers that range from Opower’s solid 2 percent to 4 percent reductions in energy use via its mailed monthly reports, to energy reductions in the 20 percent to 30 percent range for price-sensitive home energy automation pilots. Another big question is, do the people who buy these systems even care about their energy data? While AlertMe, iControl and other startups include energy management as one function, it’s the door locks, security cameras and other automation gear that has mainly grabbed customers’ attention so far. How data analytics and customer engagement might change that dynamic is anyone’s guess.